S.M. 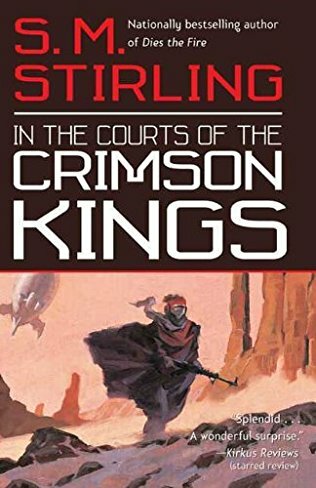 Sterling – THE BOOKS THAT TIME FORGOT. In the year 2000 Jeremy Wainman makes it to the American settlement of Kennedy Base on Mars. In this timeline both Mars and Venus are inhabited. The cold war rivalry has been channeled into settling these worlds. After the encounter with the advanced alien technology on Venus both sides are looking for more. Wainman an archaeologist is there to explore the ancient ruins on Mars. The Martians are an ancient race that were once ruled by the Crimson Dynasty. Now are nothing more than a collection of city states. Wainman hires Teyud za-Zhalt as a guide to the ancient city of Rema-Dza. Aboard the landship Intrepid Traveler they must fight off the various creatures and pirates that populate the Deep Beyond. Teyud has a secret. She is the daughter of the emperor and rightful heir to the Crimson Throne. In Rema-Dza they find the ancient invisible crown which activates because of her genetic heritage. Now they must make it to the old imperial city of Dvor Il-Adazar or City beneath the mountain at Mons Olympus and restore the power of the Crimson Dynasty. The second book in the Lords of Creation series. This one deals with Mars. Here we have a much more advanced race of people. Mainly in biological sciences they create most of their tech from living machines. They are a people that are somewhat different genetically from Earth humans but still related. They also are a race that seems to have little curiosity and believe everything that has been worth discovering has already been done. So their society is stagnant and they show little interest in the Vas-Terrain or people from the Wet World. I think this was better than the first book. The Martian society had a fascinating complexity to it. 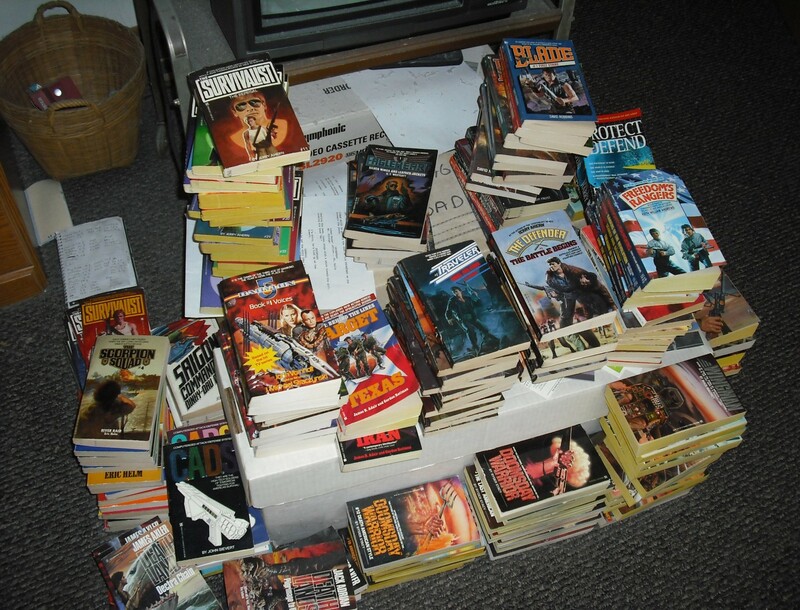 Plus you had the good old fashioned adventure with flying ships, swordfights ,intrigue and romance. Sterling left open some new story ideas at the end for the ancient technology activated by the invisible crown opens stargates on all three worlds to a new world. 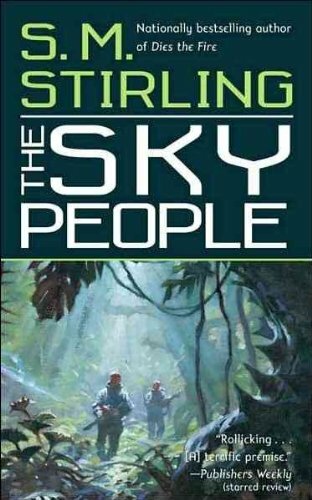 So there are new worlds to explore and maybe someday Sterling will continue with this fascinating look at a reality where Mars and Venus were made habitable by a mysterious ancient alien race. In this alternate reality the planets of Venus and Mars support life. Probes sent in 1962 confirm that the worlds have humanoid civilizations. So a great space race begins between the U.S. and its allies on one side. The Eastbloc countries on the other. By the 1980’s settlements are established on both worlds. In 1988 Marc Vitrac is a young man who is part of the Jamestown settlement on Venus. He later becomes part of an expedition to rescue and Eastbloc shuttle that crashed far to the west. Aboard the blimp Vepaja they encounter a war between a tribe of humans that are amber skinned and blonde. They are in a war with a cannibalistic Neanderthal tribe. This tribe is armed with AK-47s salvaged from the shuttle. They are also lead by a survivor of the shuttle that is possessed by an ancient alien artifact. Joining with Teesa the beautiful leader of the Cloud Mountain People Marc must battle dinosaurs, sabretooth tigers, cavemen, and an alien computer gone mad. This is the first book in the Lords of Creation series by Sterling. Basically it takes the premise that Burrough’s worlds of Venus and Mars are inhabitable and transports them to a more modern time. In this reality an ancient race terraformed the two worlds. Now Venus is a world of jungles with dinosaurs, cavemen, bronze age civilizations and blonde caveprincesses in furkinis. Add to this the cold war competition going on at the time. Indeed the competition to establish bases on these worlds make for a more peaceful world. Neither side has the money or time to carry on the cold war. Southeast Asia was peacefully resolved and the last Arab-Israeli war in ’67 ended with both superpowers imposing a peace and now the Middle East is described as a peaceful backwater. This seems like a reasonable outcome if Venus and Mars were inhabited. They two superpowers would have little money left to wage the cold war. This was a fun book done in the spirit of Burroughs. An exotic world with a quest, romance action and a mysterious alien race that created these worlds. A great start to a fascinating series.